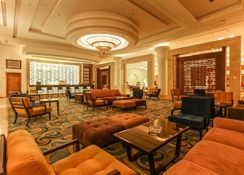 At 1.5km from the Menara gardens in Marrakech, the Savoy Le Grand Hotel Marrakech is an elegant and sophisticated hotel where guests can feel maximum comfort during their stay. 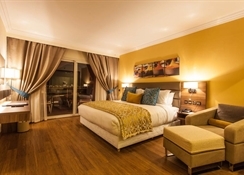 Its rooms are decorated in a contemporary style. 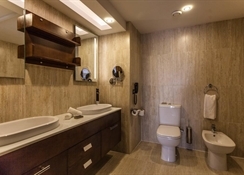 Rooms have flat-screen TVs and private bathrooms with slippers, hairdryers and toiletries. Some of the rooms also have a seating area and others have a terrace or balcony from where you can enjoy views of the Atlas Mountains. All rooms come with an internet connection. The hotel has an outdoor pool, a barbecue area and a bar. Bicycle rental service, private parking at the hotel, shuttle service, concierge service, luggage storage, ticket sale, tour desk, 24-hour reception, maid service, ironing service, dry cleaning, takeaway lunches, souvenir shop and room services are a few of the facilities at the hotel. 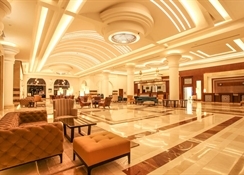 The Savoy Le Grand Hotel Marrakech is a hotel located just 1.5km meters from the Menara Gardens in Marrakech. In its vicinity you can find ideal places for tourist excursions such as the congress palace, the central square of Marrakech or the royal theatre. The Menara Airport is only 2.1km from the hotel, making it convenient for guests to reach the hotel. All the 368 guestrooms at the Savoy Le Grand Hotel Marrakech come with a flat-screen TV, a private bathroom with slippers, a hairdryer and personal toiletries. Some rooms feature a living room, while others a terrace or balcony. All have an internet connection. The Alfredo restaurant serves authentic Italian dishes in an à la carte menu. The Métropole restaurant serves international cuisine in a buffet menu. 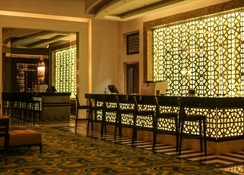 The Taliouine restaurant offers Moroccan cuisine in an à la carte menu. 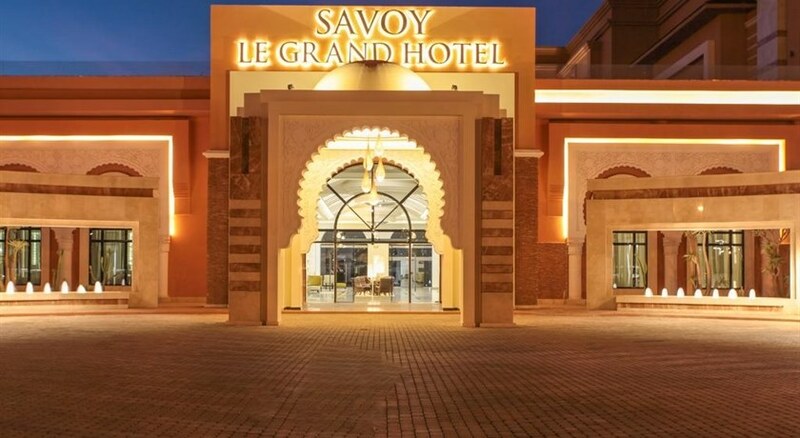 Savoy Le Grand Hotel Marrakech has an outdoor pool, barbecue area, a bar, souvenir shop and private parking. Bicycles can be rented, shuttle service, concierge service, luggage storage, ticket service, tour desk, 24-hour reception, maid service, ironing service, dry cleaning service, preparation of packed lunches and room service. The hotel offers a state-of-the-art spa and an outdoor pool.